Canadian agency Merchlar is using Panframe to add 360 degree video to their AR-experience for the Univerity of Maryland. 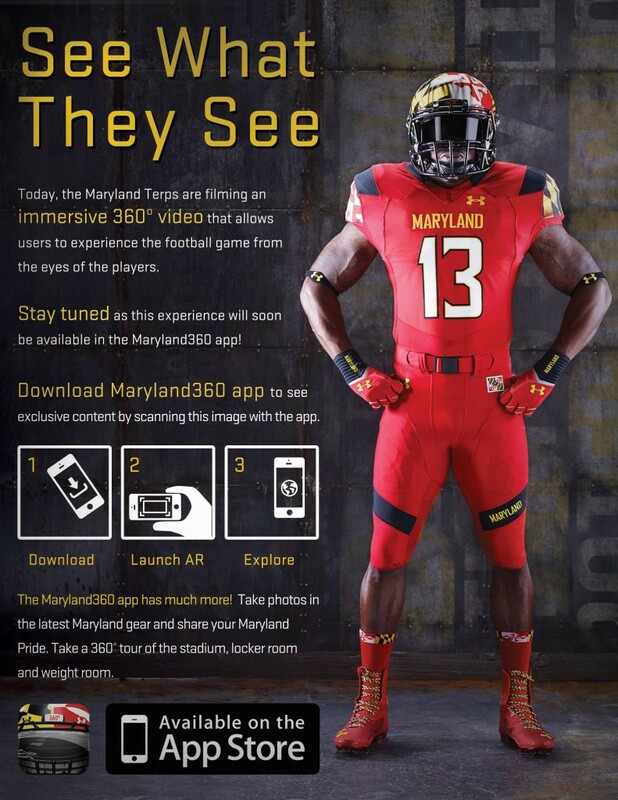 Maryland360° is an AR-based app for iOS and Android that acts as a gateway to the latest news and interactive content for the University of Maryland Football team. Fans can point their smartphone devices at printed promotional material distributed by the team to trigger the AR experience. Whether they are away for the holidays, home for the weekend, or a die-hard graduate who’s always hunting for new stats, Merchlar helps fans stay in touch with the team they love no matter how far from the field.